Why Shouldn’t You Buy Your Engagement Ring On Kay Jewelers In 75 Words? Kay jewelers is one of the oldest and biggest diamond ring stores across the US, offering not only engagement rings but watches, earrings and other jewelries. Though being so big and experienced, we found Kay.com a bit poor when it comes to design, customer support, models and ease of use. I hope they will at least add an e-mail to contact them. One more thing, don’t forget to visit the “boycote Kay” page on FB. Why Should You Buy Your Engagement Ring On Kay Jewelers In 65 Words? Bigger is better? Sometimes it is true! We believe that being a customer of such a big store chain, allows you the mixture of the endless online search with the face to face mortar shopping, but in your own way. Kay offers some of the finest designs when it comes to engagement rings at a large variety of prices, and yet in very reasonable prices. Founded 1916, Kay Jewelers turned out to be a part of Sterling Jewelers Inc., headquartered in Akron, Ohio. As one of the biggest mortar chains across the US with over 1000 stores, Kay Jewelers offers online some of the largest varieties of diamond engagement rings. Is Kay Jewelers A Scam? Kay Jewelers is a registered company, with over 1000 stores and a very large yearly revenue. As a part of the Sterling Jewelers, we can assure that Kay is legit. We have unfortunately, found hundreds of customer complaints, in addition to negative reviews and even a “boycote Kay Jeweles” FB page. Once we got into those reviews, we mainly found those of low quality products, expensive repair service and poor customer service. Observing the large numbers of sales, including all small marchendises as cheap earrings, watches and more, we believe that it is reasonable and even if most complaints are accurate, it is legit for the very large sales in revenue over the past years. Kay Jewelers is one of the biggest diamond engagement ring stores in the US. In addition to over 1000 storee, Kay also holds an online shop which offers all of their products, including diamond engagement rings and wedding rings. As it is hard to define Kay Jewelers as engagement ring specialists, we have found a nice variety of engagement rings in a variety of cuts, designs and prices. Kay offers some unique designs as Tolkowsky diamond ring, Leo Diamond engagement ring, Neil Lane bridal set, Vera Wang engagement ring, Angel Sanchez and more. We find Kay Jewelers online store more as a jewelery department store, in aspects of design, ease of search, navigation and large variety of prices. Kay Jewelers offers some care plans for their engagement rings, but these plans are in a small additional charge, which we believe should have been included in the total price of the pruducts. Kay Jewelers offers lifetime warranty, under the commitment of an inspection by their personnal twice a year, a lifetime trade in for double the price jewelries. Returns and refunds are available, but the price of shipment will be reduced. As one of the biggest jewelries store chain across the US, we would expect a “show” when it comes to a man’s one of the most important purchases in life. We believe that buying an engagement ring is special, a unique and once of a lifetime experience, and so should be the store settings, the assistance by a specialist, the customer service and the assurance of being in the right place. We clearly suggest that some work would be done in the measurements of customer care, service plans and more. It is nice and easy to go thru the variety of engagement rings, cuts and prices, but yet it only seems as a department store simple journey thru shelves. The filter and search engine are OK and you will be able to make your way thru the various options. Kay Jewelers might be one of the biggest store chains in the US, but when it comes to variety, we find the engagement ring variety pretty medium according to the size of the company. By the way, if the variety is not as big as expected, why not making an effort to specialize in each and every piece? When we were online, the chat was unavailable, and surprisingly we could not find any e-mail address to contact as well. We believe that the lack of availability is the whole story of customer service on Kay Jewelers, that is why some customer complaint, and that only shows that customer care is not in the head of Kay Jewelers worries. Get to know “Kay Credit”, which allows various financing offers, monthly payments and more. Kay accepts major credit cards but we haven’t found any PayPal option. As for shipping, Kay offers a 2nd business day shipping, as all engagement rings are insured. 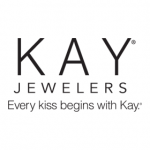 Kay Jewelers are as fair as most other engagement ring stores online, as they offer a 60 days refund to Kay.com or to one of the mortar stores. As for an exchange, Kay offers a 90 days period of time. Trade in is options are nowhere to be found!